FUNNY how the smaller the hills you climb, the harder they seem to become. You’d think that after ‘compleating’ the Munros, the Corbetts would be easier. Nope. And that the Grahams would be easier still. Ha! Sure, the amount of ascent is usually much less, but it doesn’t seem to make these tough little hills any easier on the knees and legs. A day that on paper looks straightforward can rapidly turn into a hillwalking war of attrition in the interminable bogs and head-high bracken and leave you pining for a mountain double the height but which at least has the decency to provide a path. My answer, the staple of the mountain addict: “I can’t stop now.” I am currently two-thirds of the way through the list and, despite my better judgment, I am determined to get to the end. I hate the thought of leaving a job incomplete. Besides, if I manage to finish the Grahams and the Donalds, I will reach my goal of having a Full House, the completion of the six main hill categories in Scotland. Now before this descends into a total moanfest, I should point out that I have had many wonderful days on some of these hills, and expect to enjoy many, many more. 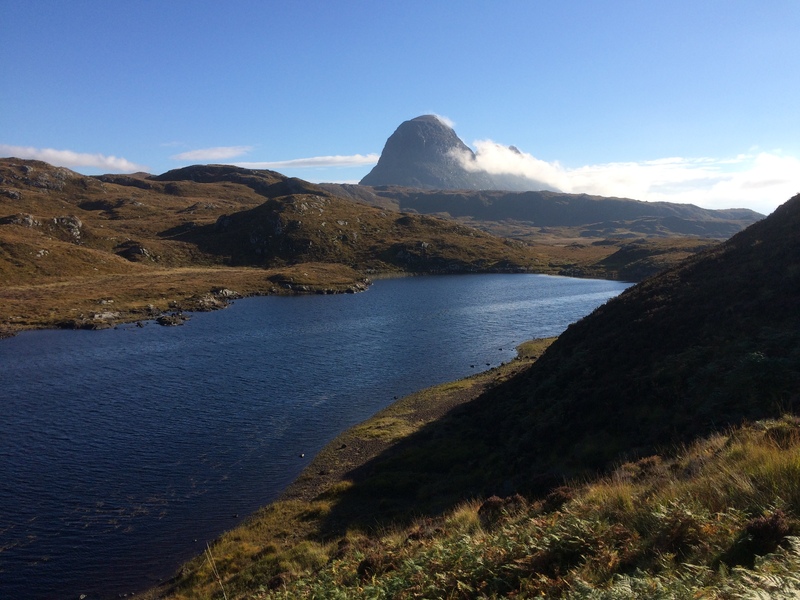 But for every Suilven there is a Meith Bheinn (it means boggy water mountain, need I say more? ), for every Torridon experience there is a heavy price to pay in the likes of Cowal, the Trossachs or the Southern Uplands. And when you are having a bad day, there is a tendency to resent your current predicament and wonder why you didn’t just go higher to visit old favourites in Glen Coe or the Cairngorms. When I started out on these 2,000-ft plus hills, there was no intent to complete the list. They were options for the hard winter days when the higher peaks were out of reach, in the same way I had started on the Corbetts. 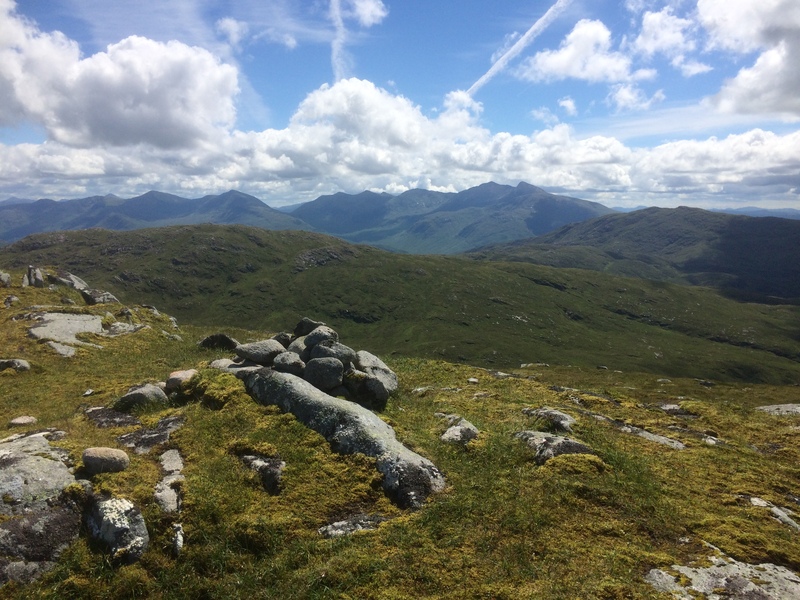 There was also the attraction of going to areas which didn’t have any Munros or Corbetts, and the chance of seeing some of the bigger hills from a different perspective. Then a certain point is passed, a certain number reached, and you are hooked. There’s no going back, but I have learned a few valuable lessons. I put my fourth Munro round on hold to a certain extent to concentrate on the Grahams. Bad move. These hills are better for winter and spring, when the ground is more likely to be solid and the triffid-like vegetation suppressed. Summer should be avoided at all costs. 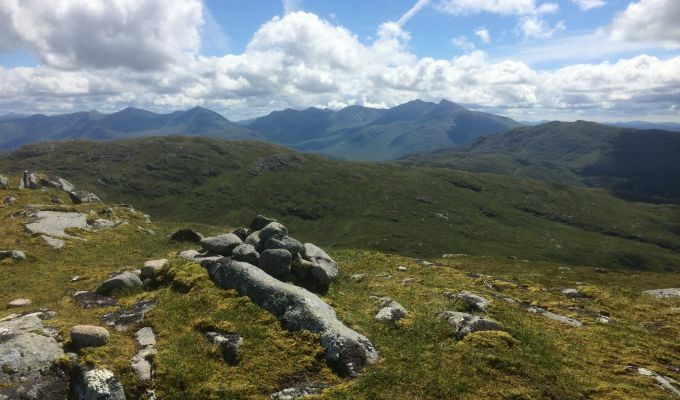 A great example was Beinn nan Lus, tucked away at the foot of Glen Kinglass. It took around four hours to reach the start of the climb, but it was a beautiful walk in and the summit area and views were sensational. However, the bit in between was a nightmare, thick, head-high bracken hiding a series of small crags, deep grass covering hidden drops, an exhausting and, at times, fretful ascent. On some of the hills in the Southern Uplands, even in summer, it has often felt like walking through snow drifts, sinking knee-deep into the thick mosses, pathless battles through deep heather. There’s little chance of building a rhythm and you can tire quickly. One thing I have got right is keeping a good spread of hills. Too many folk paint themselves into a corner when they are going through their lists, leaving a mass concentration in certain areas. At least now I have the option of going where the weather is best rather than having to sit it out as the gales and rain lash those elusive summits. Small mercies, indeed. Much as I try to enjoy every walk, the flashbacks from ploughing through some of these featureless quagmires in pouring rain is just too painful. I would advise anyone to think long and hard before committing to the Grahams. Now excuse me, I have a vertical bog to snorkel.